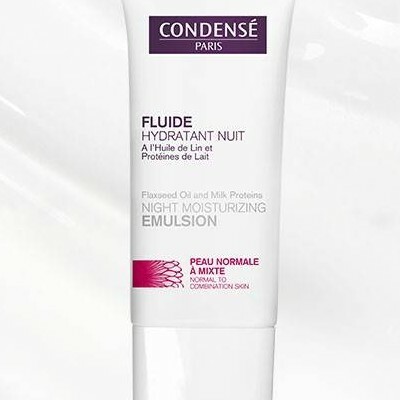 This soothing fluid takes care of your skin while you are sleeping. During the night, skin is resting and the fluid provides high and deep moisturizing thanks to natural active ingredients acting on a long term basis . 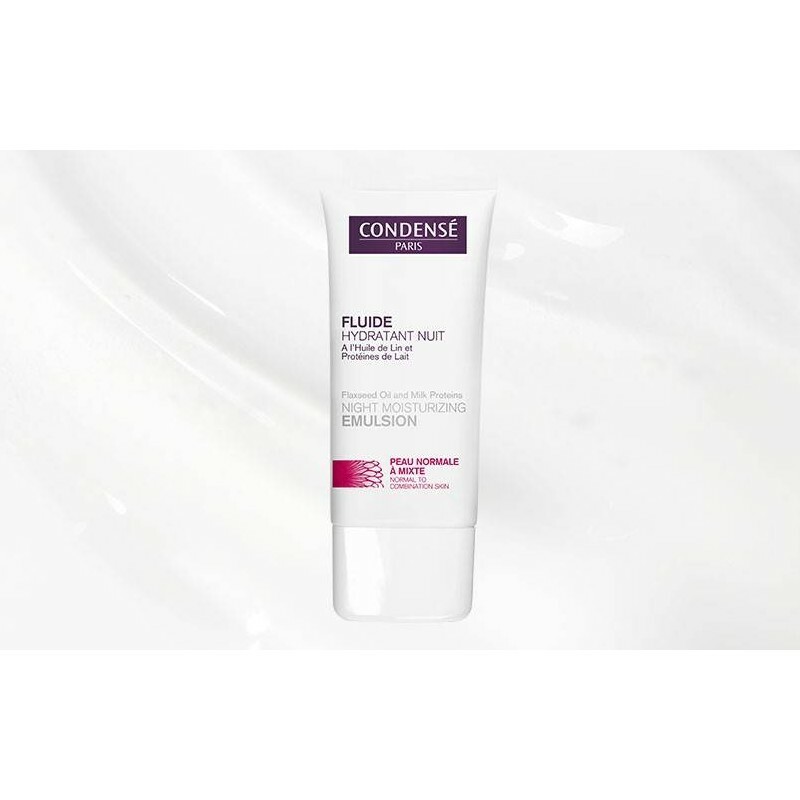 The fluid is also balancing skin and regulates sebum production. On waking, skin looks obviously rested , smoothed and radiant with health. Apply at night after cleansing, rubbing gently on the whole face, with circular motion. Milk proteins: rich in amino-acids and B6 vitamin restores the hydro lipidic film and controls sebaceous flow, in order to reduce oily areas. Burdock extract: great anti-bacterial and anti-sebaceous qualities. The skin is less shining and regains its moisture balance. Olive tree leaves extract: smoothly detoxifies, to restore the epidermis on a long term basis. Flax oil: emollient qualities, deeply nourishes skin. * The ingredients list can undergo some changes. We advice you to look at your product's ingredients list. ma peau est défatiguée le matin au réveil!!!! dommage que cela ne soit qu'un 30ml!!! 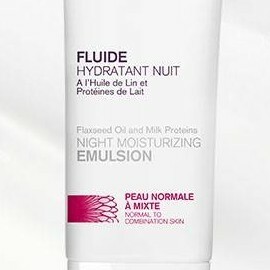 ma peau est douce, hydratée, fraîche, que dire de plus!! j'aime bien ce soin spécifique nuit. Surprenant, ce soin laisse ma peau lisse, défatiguée et m'ôte les toxines. Mon teint et ma peau son vraiment mieux lorsque je l'utilise. Fumeuse!! j'ai la peau détoxifiée et radieuse en l'appliquant tous les soirs, merci Condensé!! !